Easy math... a beautiful home + a convenient commute = a smart move! This inspired home delivers gleaming cherry floors & cabinetry; granite counters; warming fireplace; home office with fiber optic access; master suite with cathedral ceiling & spacious ensuite bath; FINISHED ENGLISH BASEMENT with wet bar, full bath, home gym, craft room, entertaining space & ample storage; concrete driveway; heated 3 car garage; new roof 2016; handy mud room; in-ground sprinklers; & a 3 seasons, screened-in-porch that will deliver a peaceful escape for everything from your favorite novel to late night laughter with friends. 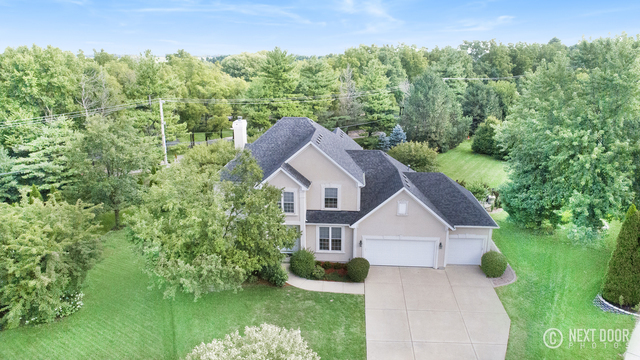 This location also boasts QUICK INTERSTATE ACCESS, cul-de-sac privacy, a brick paver patio with fire pit, tiki torches, grilling station, and a lush HALF ACRE (perfect for a NEW POOL) with mature trees & that oh-so serene landscape. An inspired home and a brilliant move!